Paris is a city that spoils its residents and locals in so many ways. 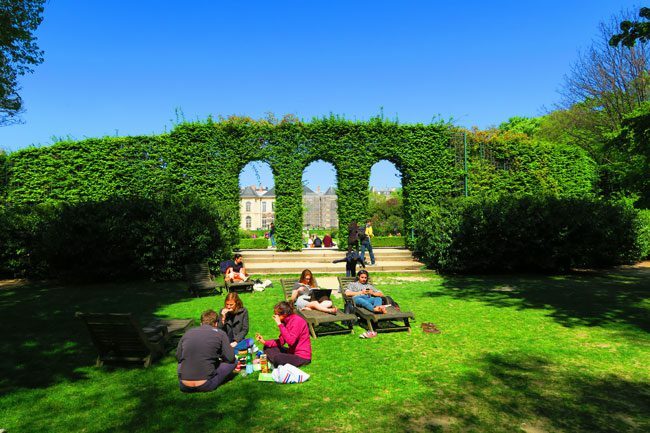 In this post, we’ll visit the best parks in Paris and see where you can have that perfect picnic lunch, or just grab a break from all that walking in the City of Lights. 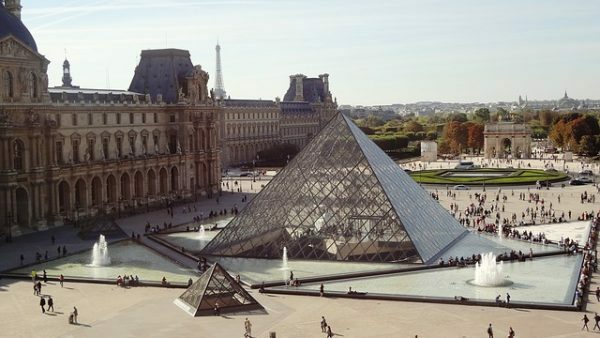 I’ve just returned from spending three memorable months in Paris and what I loved the most about Paris, is that the city is actually made for people to live in it. Every neighborhood has everything its residents need: from schools to bakeries to beautiful green spaces. 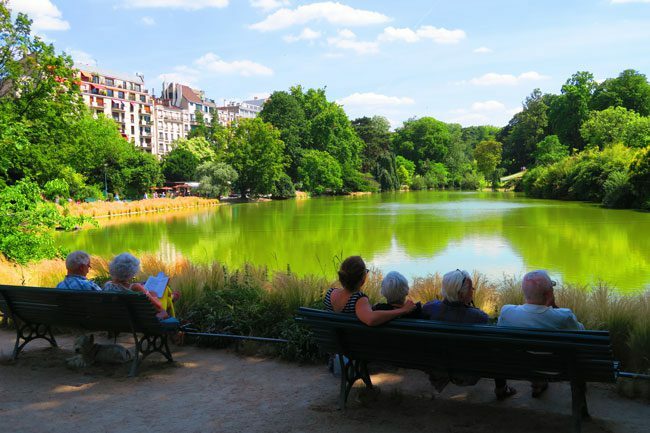 I’ve listed my favorite Parisian parks in this post and you’ll find a link to the park’s neighborhood guide in nearly all the listings. 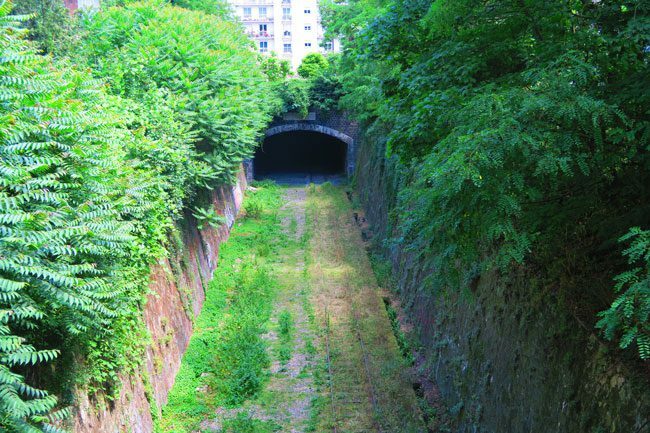 The best thing is to visit these parks as you explore the neighborhood – so whenever you need a break, know that you’re never too far from one of these urban gems. 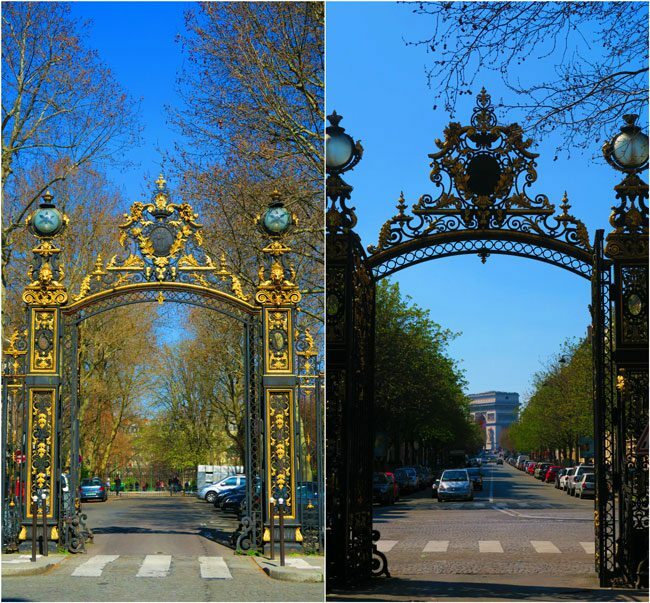 Before we head out to explore the most beautiful parks in Paris, it’s important to note that most parks shut their gates when night falls. 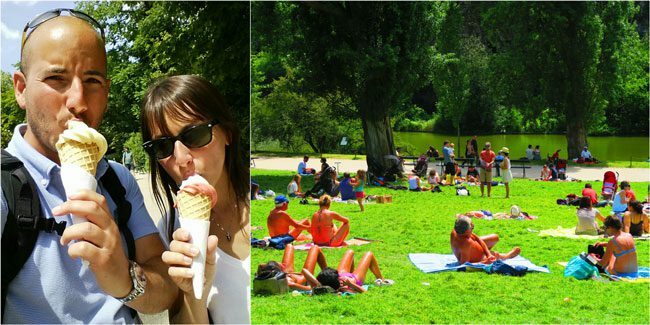 It’s a good idea to avoid Parisian parks as its gets dark outside, but during the daytime you will have no problems. 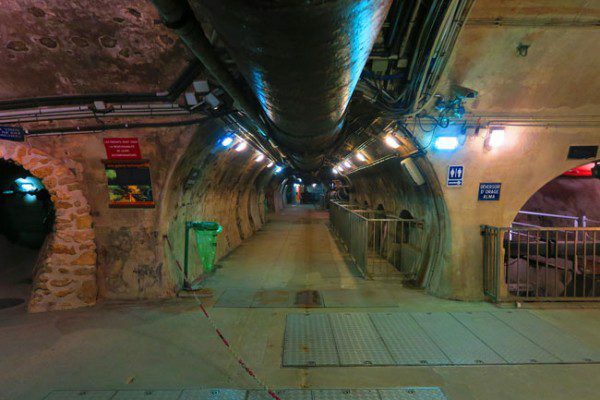 Paris is a big city after all, with big city dangers – so just use your common sense. 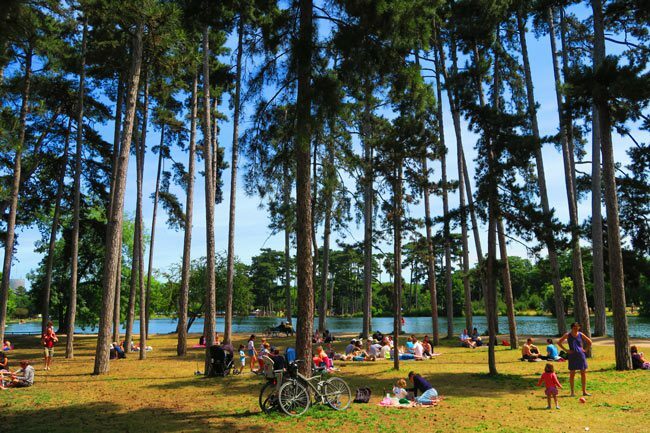 Modeled after London’s Hyde Park, the Bois de Boulogne is a place that Parisians flock to if they want to visit the countryside without leaving town. Miles and miles of tracks snake their way across this massive park, that seems more like a forest at times. 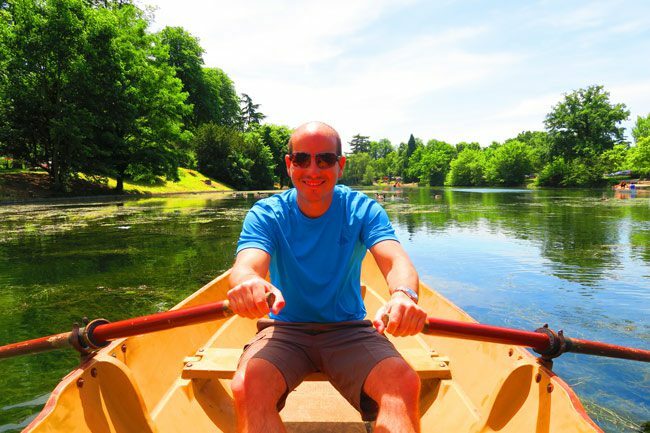 The highlight is no doubt renting an old fashioned rowboat and hanging out with the baby ducks in the giant lake. During May & June, you might even hear the roar of the crowd as Rafael Nadal makes another impossible shot, next door at the Roland Garros. 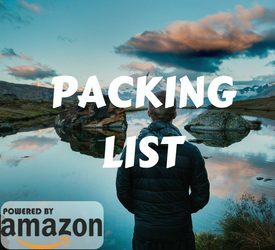 The only things to watch out for are the poison ivy during the summer months and the drug dealers during the night. 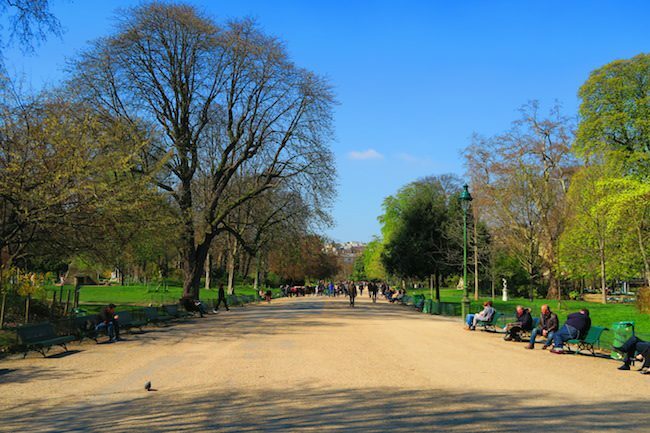 The park itself was opened up in 1869 as the designated large green space for the southern residents of Paris. 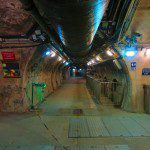 It was built on the site of a former quarry with the added of complexity of having miles of Catacomb tunnels right beneath. 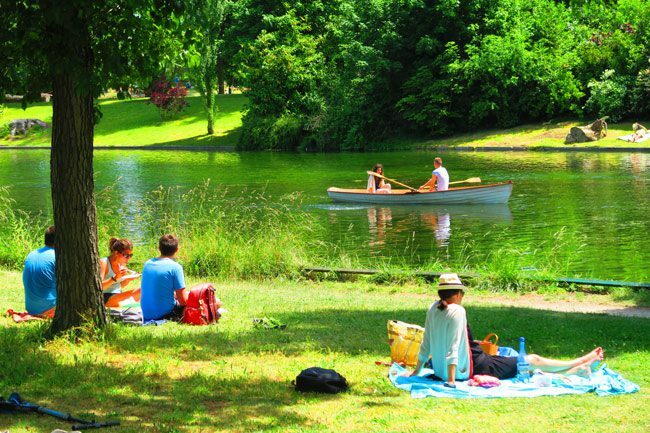 Dissected in the middle by one of the RER lines, Parc Montsouris offers wide stretches of grass to relax on and a lake that makes you forget you’re in the middle of Paris. The park itself is not a ‘must see’, but if you’re exploring the Butte aux Cailles, this will be a nice spot to end the day. 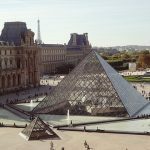 Have a look at this Montparnasse & Southern Paris itinerary and see what else is around the park. 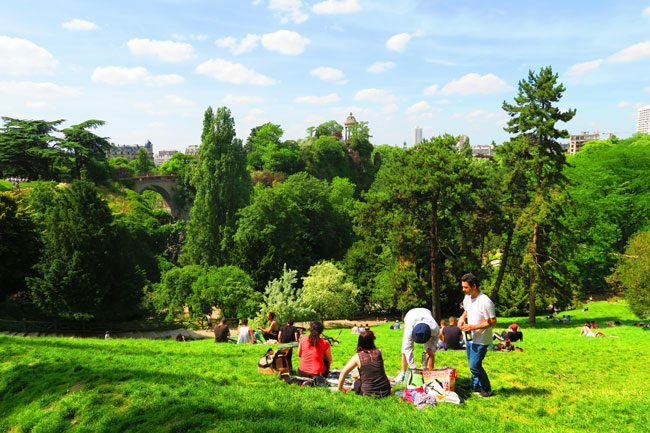 One of the best parks in Paris, the Parc des Buttes-Chaumont is another masterpiece created out of a disused quarry. Opened in 1867, the park’s main feature is the towering rock coming out of its central lake. 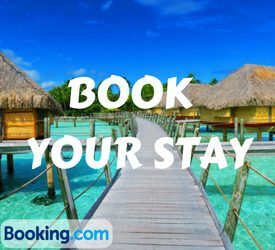 You can get there via a suspension bridge or even rent a boat to chill out in the water. 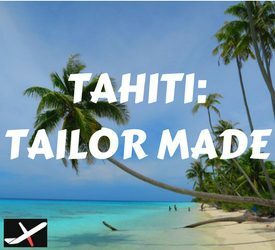 It’s a popular spot for the area’s residents and you won’t find too many tourists around here, as the major tourist attractions are a 15 minute metro ride away. 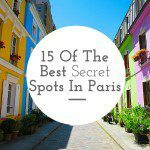 Grab a spot on the grassy hill overlooking Paris and enjoy the views! 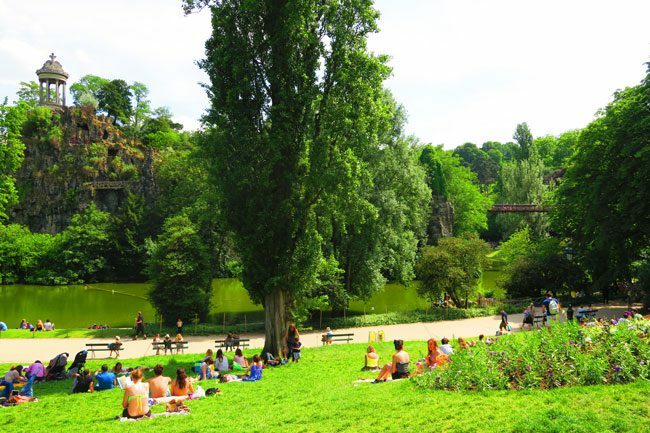 Visit the Parc des Buttes-Chaumont on a day spent exploring the Canal Saint Martin area! Extending from the Ecole Militaire to the Eiffel Tower, the Champs de Mars is one of the most popular photo spots in Paris. 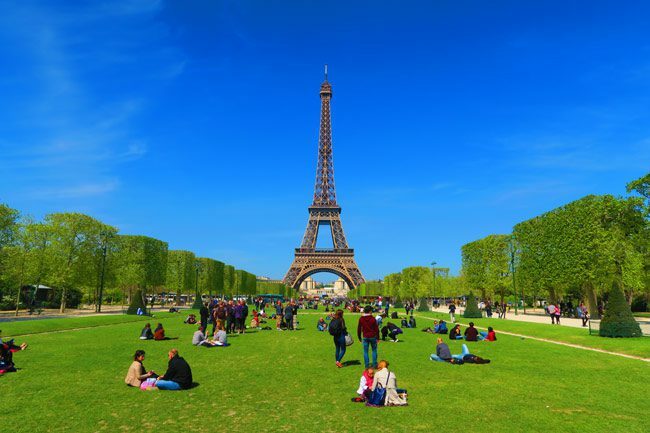 On a fine day, grab a spot on the grass, lie down – and enjoy the view of the Eiffel Tower right in front of your eyes. This grassy field was used back in the day for military drills and after the French Revolution, was the site of festivals celebrating the new freedom. As a rule of thumb, the further away you walk from the Eiffel Tower (in the direction of Ecole Militaire), the less you’ll be bothered by touts selling you cheap souvenirs. Still in the Eiffel Tower district, the Esplanade Jacques Chaban-Delmas is worth stopping by en route to the Rodin Museum. 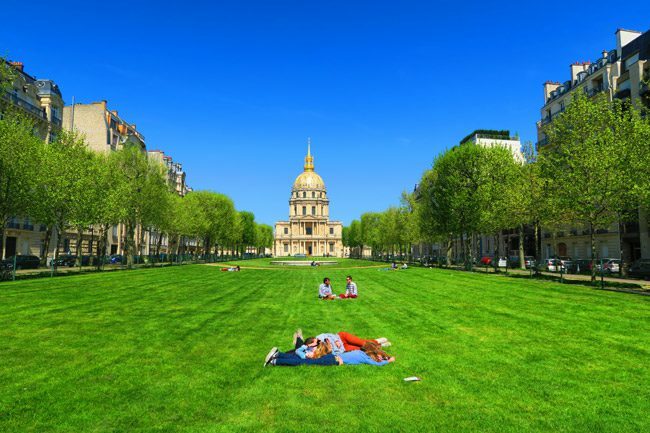 You might even have this narrow park all to yourself, with a great view across to the Eglise du Dome – where Napoleon Bonaparte is buried under a giant dome. 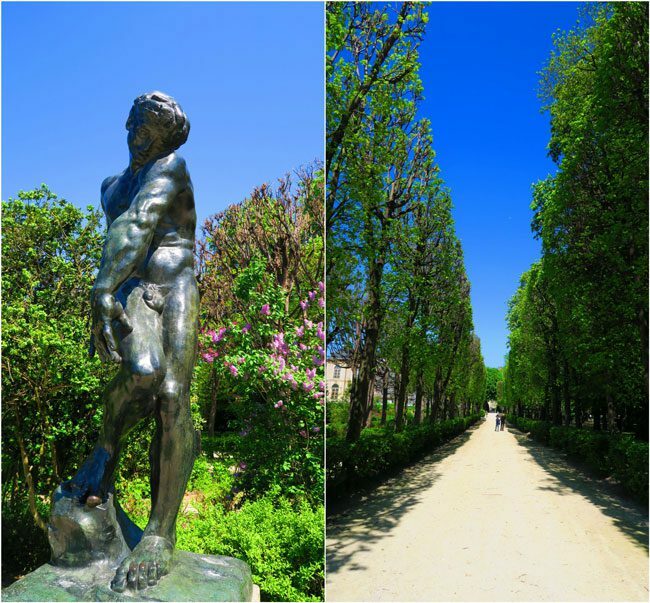 Not technically a park but definitely worth a mention, the Rodin Museum has one of the prettiest gardens in all of Paris. 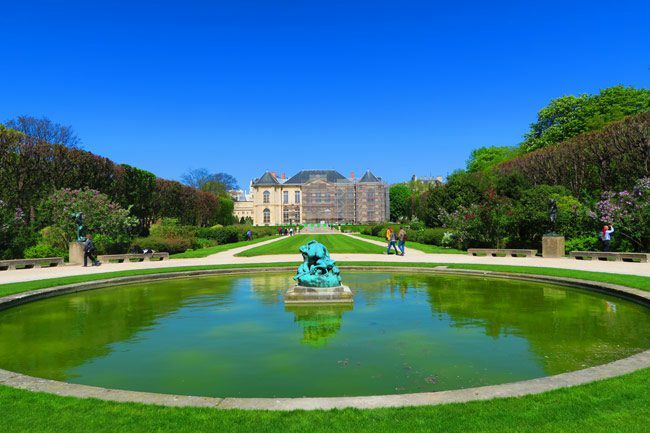 The museum is actually a beautiful mansion dedicated to the famous French sculpture, but you can just hang around in the gardens for a mere €2 if you feel like you’ve got museum phobia. This ended up being one of the highlights of my 3 month visit to Paris. 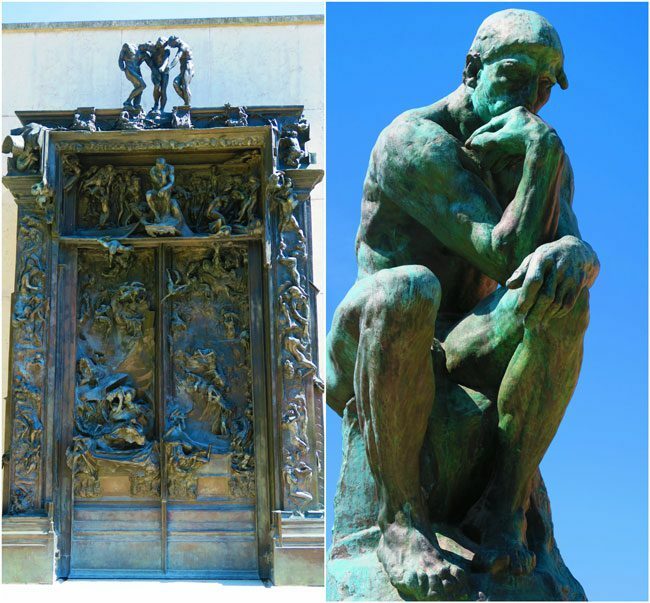 The gardens are simply beautiful and scattered across the property are famous iron works likes the Gates of Hell and The Thinker. It’s the perfect spot to laze around for a few hours on a sunny day. The Eiffel Tower district is one of my favorites in Paris. 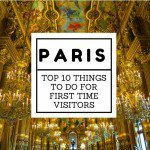 Check out this itinerary guide for the 7th arrondissement. 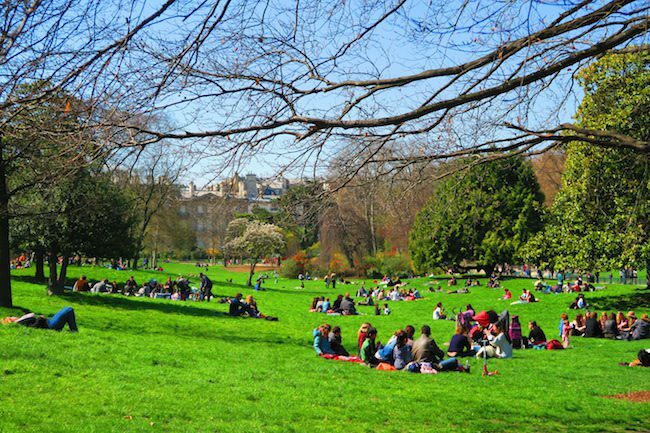 Lined with unbelievably fancy mansions on its perimeter, you can easily tell that Parc Monceau was designed as the playground for the wealthy aristocrats of the 8th arrondissement. 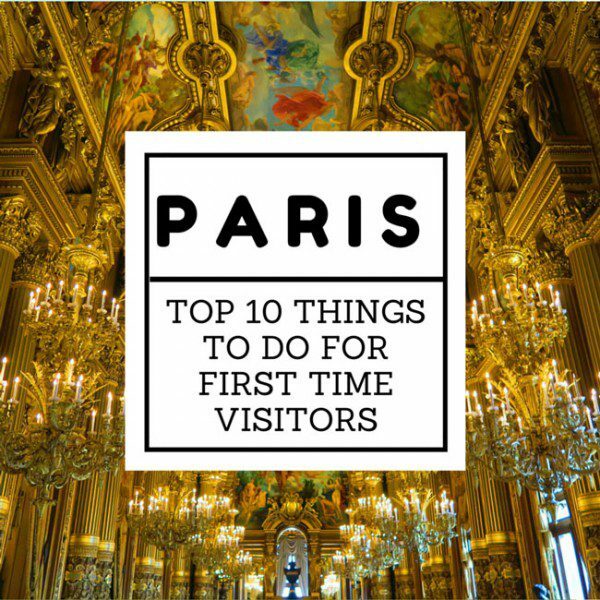 Built in 1779 by the Duke of Chartres, beautiful gilded gates greet you as you enter, and from the western end you can even catch a glimpse of the Arc de Triomphe. Check out the rotunda and the other architectural highlights in the park, or just grab a spot with the rest of the locals and kill a few hours. Popular with joggers and families, if you’ll come during the week you’ll see schoolchildren playing at lunchtime and if you come during the weekend, picnics are the signature mark of the park. 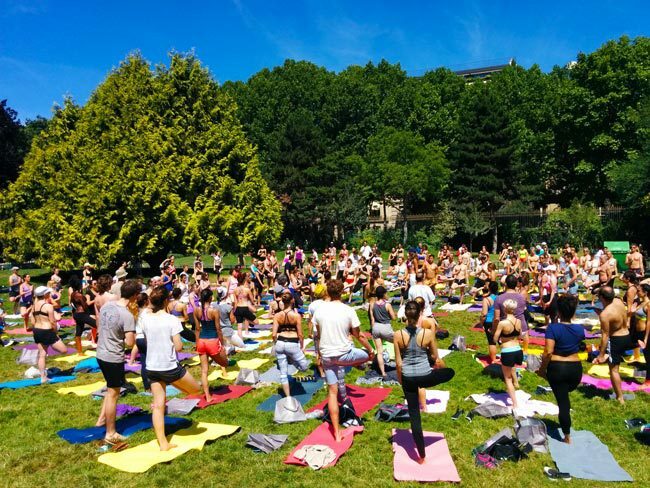 Not too many tourists make it here, but with one of the best markets in Paris just 5 minutes away at Rue de Levis – a picnic in one of the most beautiful parks in Paris is not a bad idea. 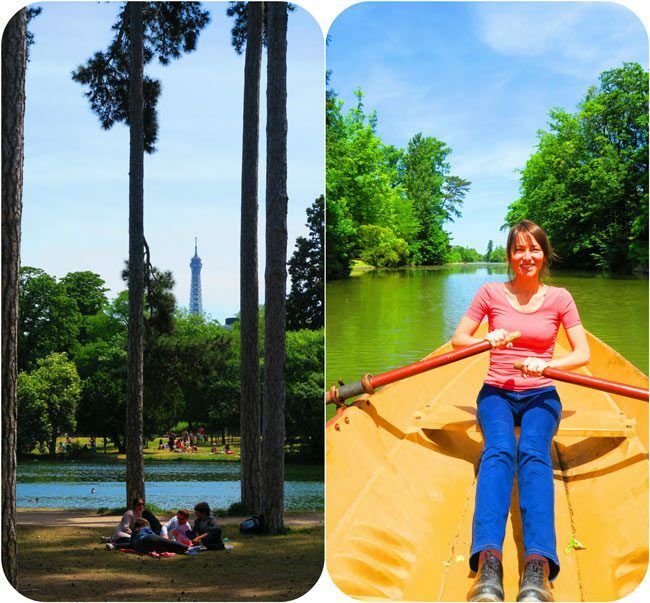 Continue to the next page to see the rest of the best park in Paris! So lucky you were ! All your pics look so sunny haha ! I love the Parc Monceau BTW. 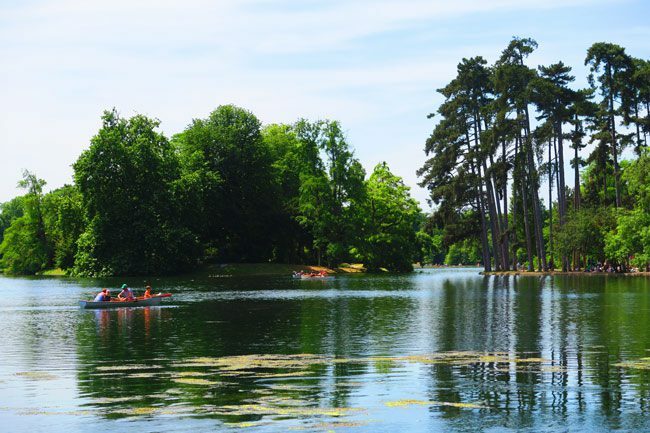 And I recommand you to visit the “parc de Bagatelle”, which is one of my favorite ! 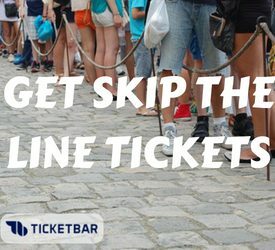 Great tip. Never been there!